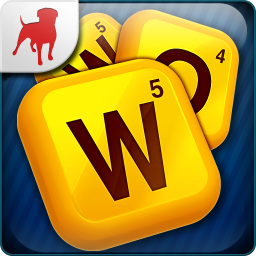 Currently, Words With Friends and Chess With Friends are only supported on Apple iOS devices (iPhone, iPad, and iPod Touch) and Android devices. We are working to support other devices and hope to provide access to our players using these other devices in the near future. As you can see, it clearly shows as incompatible with my Tab 10.1. 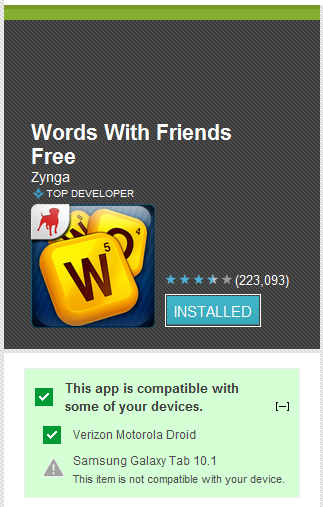 Naturally, this leaves us wondering: what gives, Zynga? Two days ago WWF worked fine on Honeycomb, and now you don't even acknowledge its existence? We're keeping a close eye on this story, and we'll make sure to keep you updated as more information arises.